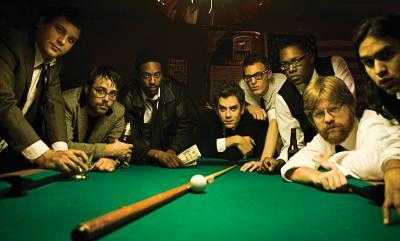 second album for the old gang from Austin, Texas. 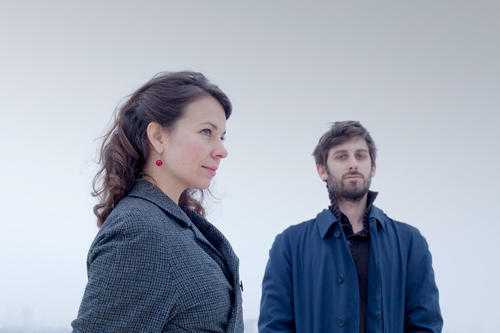 They continue taking the baton from their debut two years ago, entitled "Tell 'Em What You're Name Is". In the producer's chair sits Jim Eno, the drummer of "alternative» Spoon, making sure that the typical, rough, garage soul sound of Honeybears remains intact. ... I wonder if such a large amount of energy is released in their albums, how hard can it be in their live performances? Black Joe Lewis and the rest, are certainly not reinventing the wheel, but do not seem to care particularly about that. They live and breathe for the moment they step on stage, where every night they read their own gospel ... in these simple but important chapters: blues, rock 'n' roll, funk. Starting from the depths of the American tradition and destination, a place where every note is equivalent to a small deposit of soul. The "Livin 'In The Jungle", "Booty City" and "Black Snake" limit the audio frame, always with intensity, always at high speed. The title "Scandalous" dives into a filthy sensuality, presenting (to the end) and a distinctive touch of dub. The "Messin" is a dynamic and raw blues, while "You Been Lyin'"peek in ... Funkadelic side. Although the album overflows with renewed vigor and courage, the excellent cover of " Since I Met You Baby " (great rhythm 'n' blues success Ivory Joe Hunter since 1956), suggests that there is always room for a little tenderness. 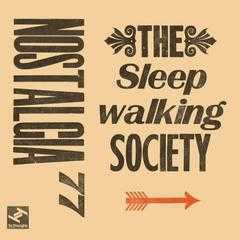 The Nostalgia 77, the main vehicle of expression, anyway, active Benedic Lamdin, returned this year with "society of sleepwalking." Low profile, night air and a distinctive blues - folk direction, make their presence felt, with the expressive voice of German Josa Peit in the foreground. Lamdin, writes lyrics inspired by memories of his childhood, concoct melodies on the acoustic guitar to come on and remaining members, adding horns, strings, keyboards. The sound is warm, simple and sophisticated, may well bring to mind a more "earthy" version of Morcheeba. "Sleepwalker", "Simmerdown", "Blue Shadows", "Mockingbird" ... some titles that stand out, radiating warmth and stroking his ears like a sweet lullaby. The two "dark" jazzy instrumentals, " When Love Is Strange " and " Hush "distance themselves slightly from the aura emitted by the rest of the album, but without messing up the climate. I would say that the boost very aptly placed in the middle and the end (or end of each side if we talk about the vinyl version). 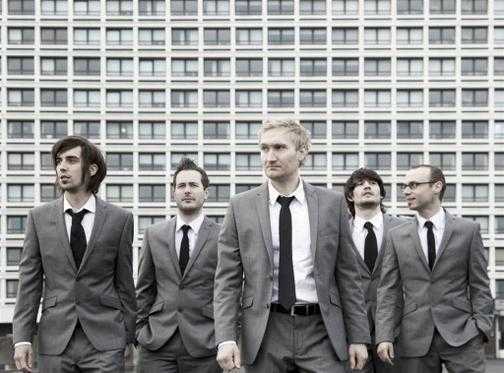 The band from Newcastle delivered to us in the spring, an unrepentant and fancy dancing, jazz - funk work. 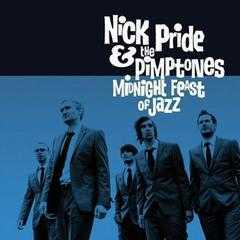 Guitarist Nick Pride and other Pimptones (bass, drums, trumpet, saxophone, trombone), scatter in the atmosphere, multiple rhythmic vibrations, which were alternated with data waves of positive energy. The willingness to "soak" in their sweat well-cut suits, becomes obvious from the start already "Pimptroduction", in which they hasten to present themselves, amid feast nuances. Beyond that, hearty instrumentals with clear structures, but also a local improvisational mood, give way to a beautiful and memorable songs, which host excellent guest performers. The Zoe Gilby and Susan Hamilton give a more jazzy character in " Lay It On The Line "and" Brighter Day ", respectively ... Jess Roberts lifts the deep funk of " Waitin 'So Long ", in my humble opinion, the highlight of the disc. The Japanese author Haruki Murakami , in his book "South of the Border, West of the Sun" (versions Oceanis, 2010) writes for bars everywhere in the world: "Palaces in the sand ... (there) all seeking the same thing: a fantastic place ... and their own personal niche within it ... 'In such an area" live "music and jazz - funk fun, the Nick Pride & The Pimptones pose serious candidate for the post of the ideal "in - house" band.